Newmarket is the crown of Suffolk Towns and is the heart of British horse racing. It is also the home of Wayne Goodman who was born in the town and is in constant demand for all kinds of events and functions around the town. Wayne is on the prefered suppliers list for all of the top wedding venues in the Newmarket area, and prides himself on offering the best quality and value for the services he offers. 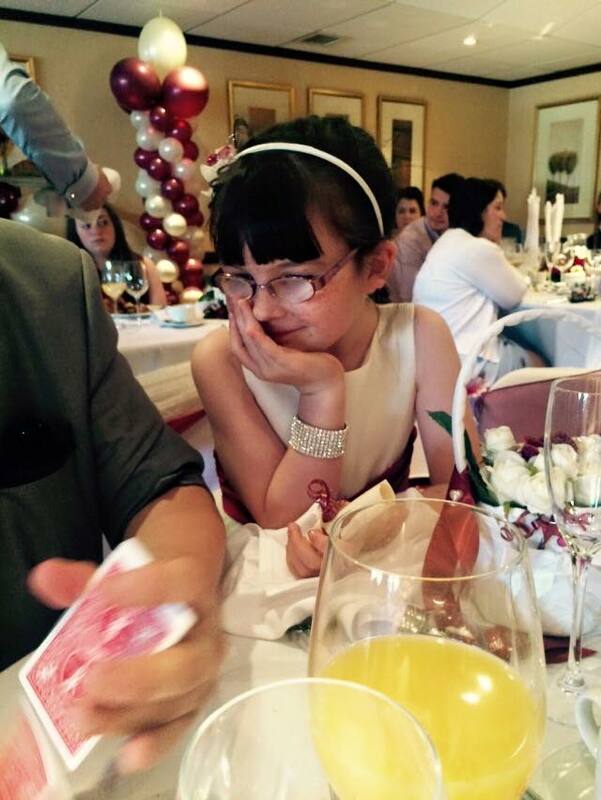 In 2015 Wayne took 2nd place in the British National Close Up Magic Championships in Blackpool. Having Wayne at your wedding means offering your guests an amazing form of entertainment that will be remembered for the rest of their lives. 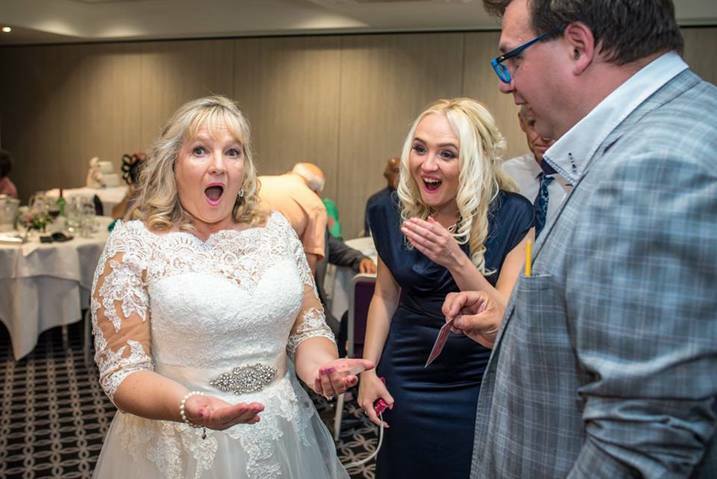 Why do many couples book a Wedding Magician? 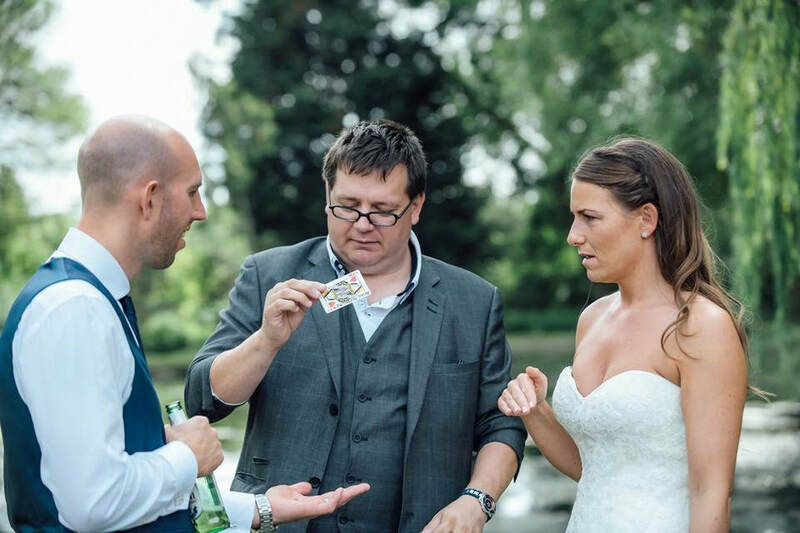 Wayne believes that a wedding magician is a lot more than just someone who can do a few tricks and tell a few jokes. 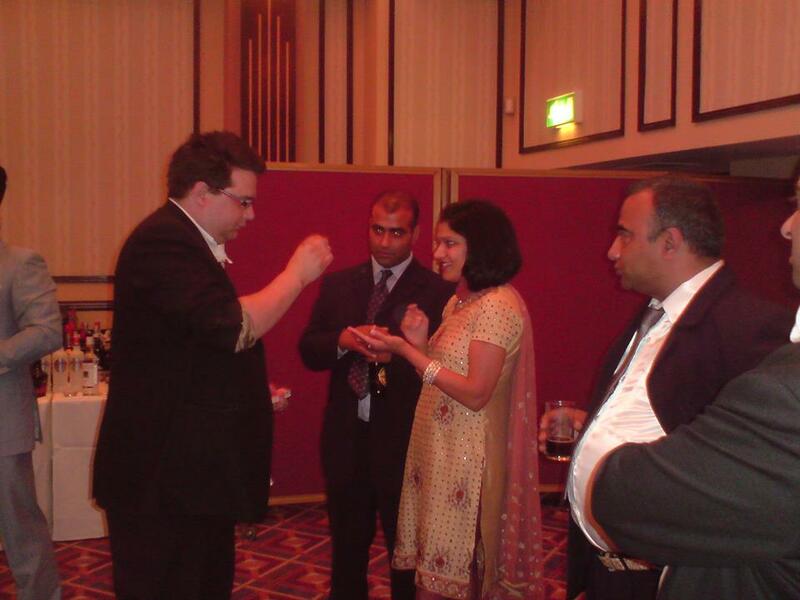 Wayne will engage with your guests in a manner that creates a positive atmosphere and also breaks the ice with guests who do not know each other. 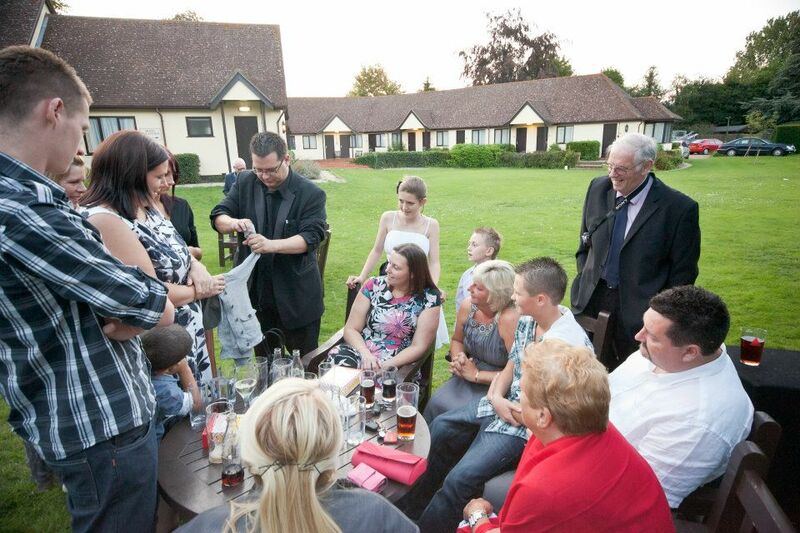 Wayne Goodman has made a speciality of performing Magic at Weddings and Civil Partnerships all over the UK. 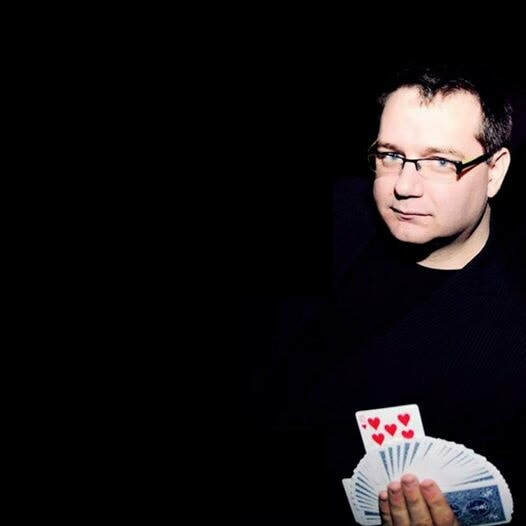 Let Wayne keep them entertained with the perfect mixture of sleight of hand, comedy and astounding magic. Don't worry though, Wayne will make sure he saves the best magic for the happy couple, and will make time to see them. 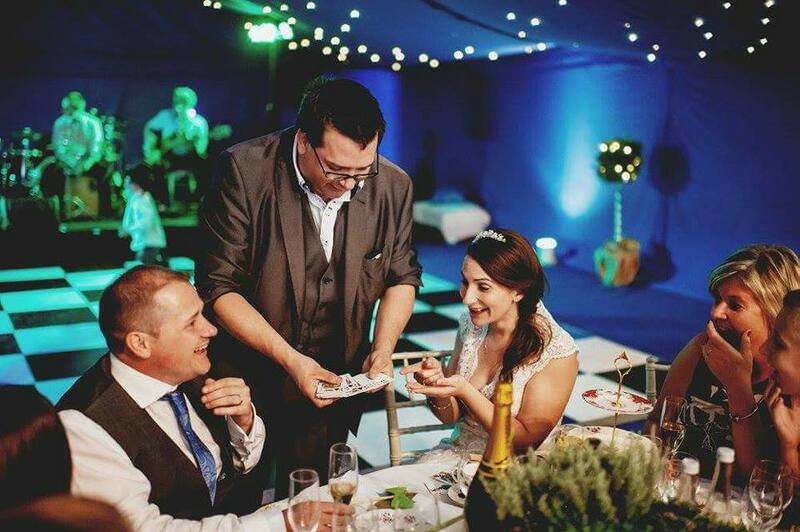 Once everyone is seated (including yourselves) Wayne will move around the room creating a fun atmosphere, that will keep your guests entertained between courses and more importantly break the ice at the tables. Every couple worries about the seating plan, and trying to get people to sit with others they know, but after Wayne has left the table, every guest at the table will have something to discuss. 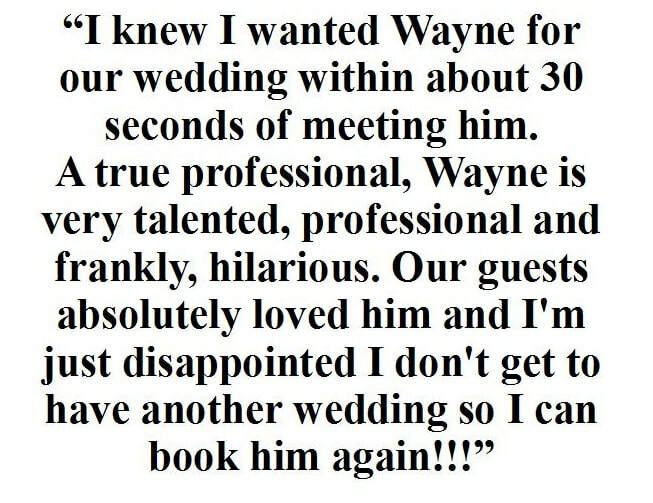 When is the best time to book Wayne to come to your wedding? Congratulations, you are now husband and wife. You are about to be taken away for photos and your guests will head up to the reception. This is the time when your guests will be left alone for the longest and you want to know that they are in good hands. Your day guests and new arriving evening guests are starting to mix and you want to ensure the ice is broken and the atmosphere is high. Wayne will mix and mingle and invite groups of people to watch as he creates memorable magic for everyone. Yes, as a member of Equity I have £10 million P.L.I. What information do you need to confirm a booking? I will give you a call and get all the information I need, then I will generate a confirmation that will be sent to you via email. Everything agreed and discussed will be on the confirmation for us both to keep. Not at all. Payment can arranged a number of ways. Some brides like to pay before the day, which is fine and can be done by cash, cheque or bank transfer. We can arrange a payment scheme that suits you and I will send a receipt every time you make a payment. Feel free to email me your number wayne@waynegoodman.co.uk or give me a call 07726190078 and we can have a good chat or arrange to meet and discuss your wedding. 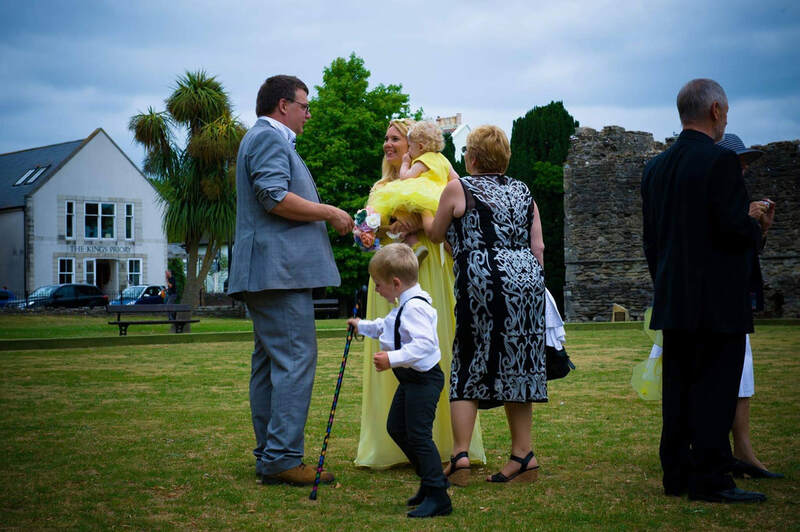 Wayne does get booked up a long time in advance so contact him today to secure your date and find out how he can make your special day more magical.